Dark spots, pigmentation and blemishes can be stubborn, but with time, and the right skincare routine, you can get rid of them. Vitamin C and SPF are your best friends when it comes to healing and eliminating acne scarring effectively. Find products and a regime that works for you and STICK to it! If you’ve already suffered from a bout of acne, the scarring and blemishes will take a while to fade. My skin still hasn't completely healed yet. From time to time, I like to give my skincare a boost by using some targeted spot correctors. 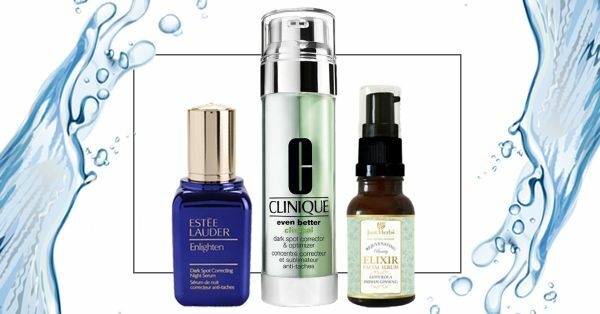 We’ve listed down some of the best spot correcting serums you can use before you apply your moisturiser to give your skin a brighter, spot free luminous glow. Check em’ out! This serum is made with a blend of Dandelion and Nutmeg oil to lighten, brighten and reduce any signs of ageing on your skin. It's pretty lightweight and absorbs easily. It’ll help lighten any dark spots and pigmented skin. Rosehip seed oil is absolutely amazing for acne, blemishes and pigmented skin. This serum is enriched with rosehip, frankincense, neroli and carrot seed oil to reverse any skin damage and boost cell regeneration. The Kiehl’s dark spot serum is enriched with Activated C, White Birch and Peony Extract to lighten dark spots, brighten and hydrate your skin. While this is on the more expensive side, it’s definitely worth the investment. One bottle lasts you for 3 months with regular usage. This Olay serum is enriched with Vitamin B3, Pro Vitamin B5 that brightens your skin from the very first use. The formula ensures that the serum penetrates deep within the epidermis, increasing translucency by renewing the skin's outer layer. A blend of traditional Indian herbs, this serum combines the power cold pressed oils and extracts similar to those found in hyaluronic acid. It helps fight blemishes, acne and pigmentation. This is one of my personal favourites from the brand. A Vitamin C serum works best to combat skin discolouration, blemishes and pigmentation. Vitamin C has active ingredients that boost cell repair and regeneration. Regular usage will give you bright, glowing skin! This serum gives you brighter, radiant skin. It has ingredients that inhibit the production of melanin and refine your skin's texture giving you smoother, softer, brighter skin. It’s oil and alcohol-free so it’s perfect for sensitive skin too. This serum claims to improve the visibility of your dark spots by 58% in 12 weeks. Within just a month, you’ll see your skin about 2 shades brighter, and your spots will be lighter too. It’s gentle enough to be used for sensitive skin. This serum can be used before and after brightening cosmetic procedures such as laser spot removal. It helps diminish the appearance of dark spots and hyperpigmentation, for skin that looks perfectly translucent. The brand's research shows that in 12 weeks, 81% felt the serum was superior in reducing scattered dark spots than spot removal lasers. If you’ve ever used the Estee Lauder advanced night repair serum, you know how effective it can be for the general health and well being of your skin. The enlighten dark spot serum helps lighten dark spots and gives your skin an even, luminous glow. It is safe to be used even for sensitive skin types. PS: Ensure you use these serums before you moisturise and give then 5-10 mins to sink in before applying a moisturiser. And always apply an SPF during the day, it will ensure that the sun won’t cause any more darkening to the blemishes, spots and pigmented patches.